Vivian Caron has whipped cream placed on her ice cream sundae while in line. 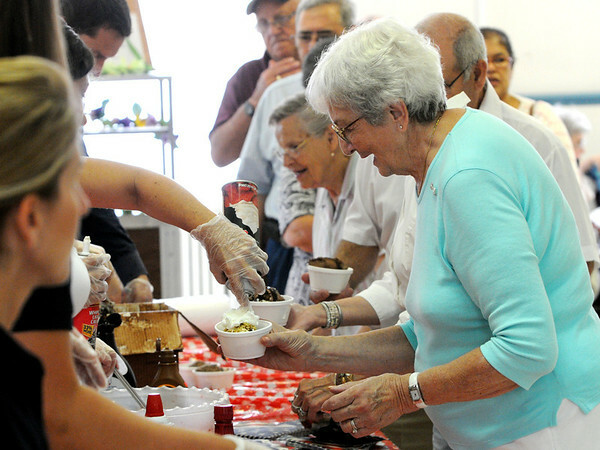 The Salem Council on Aging hosted an ice cream social sponsored by Ben & Jerry’s Ice Cream and state Rep. John Keenan at the Senior Center. It was part of Salem's Heritage Days.